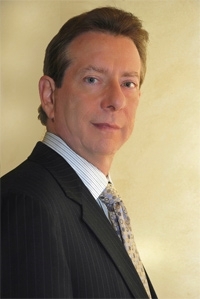 Involved in commercial real estate for over 30 years as a corporate real estate executive, real estate partner in a New York law firm, developer, technology entrepreneur, there are few as qualified for and deserving of the challenge of Chief Operating Officer of the Keller Williams Commercial - Westside office as Jeffrey Peldon. Jeffrey was the Chief Operating Officer and the Managing Director of a national real estate franchise in Los Angeles, California. He achieved Lifetime Achievement, Hall of Fame and Diamond Club award recipient status. As one of the San Fernando Valley Business Journal's 2008 Outstanding Commercial Real Estate Brokers, he is a multifamily property specialist whose focus is the maximization of asset potential and the best allocation of equity. As the Number One Commercial Broker Associate in California, and Number Two in the nation of over 7,000 commercial associates, Jeffrey has helped his clients reposition individual properties and convert apartment portfolios into diverse real estate holdings representing a significant increase in value. Jeffrey has been instrumental in helping develop the best possible analytic tools for all of our associates to utilize in underwriting and marketing investment properties. Jeffrey believes in establishing long term relationships and a commitment to providing the best possible experience in the transaction process. To this end he focuses on personalized service that meets the individual needs of his clients.